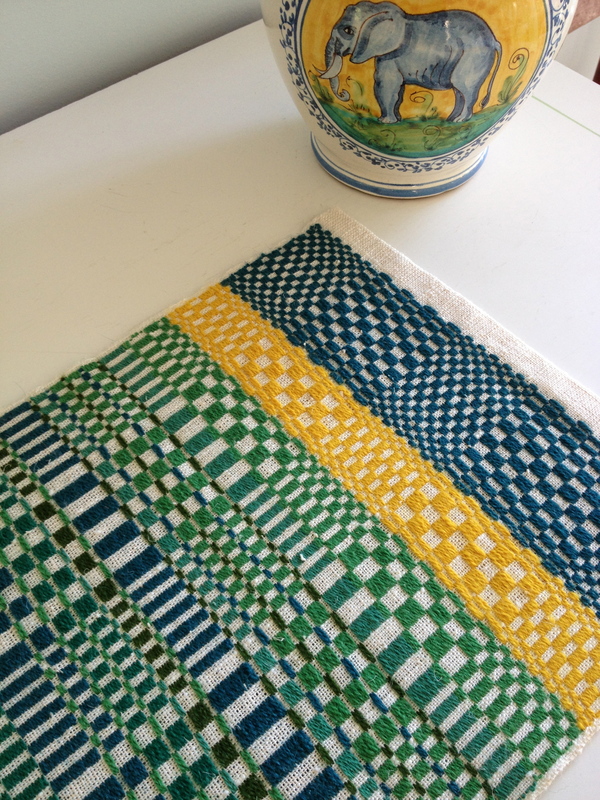 The joy of weaving is learning, experimenting, and creating. But a side benefit is enjoying a glimpse of something I created in the past and gave away. It’s like running into an old friend, when I visit the homes of family members and friends and see something I made. Last week my husband and I spent a long weekend at his family’s summer home in Maine. 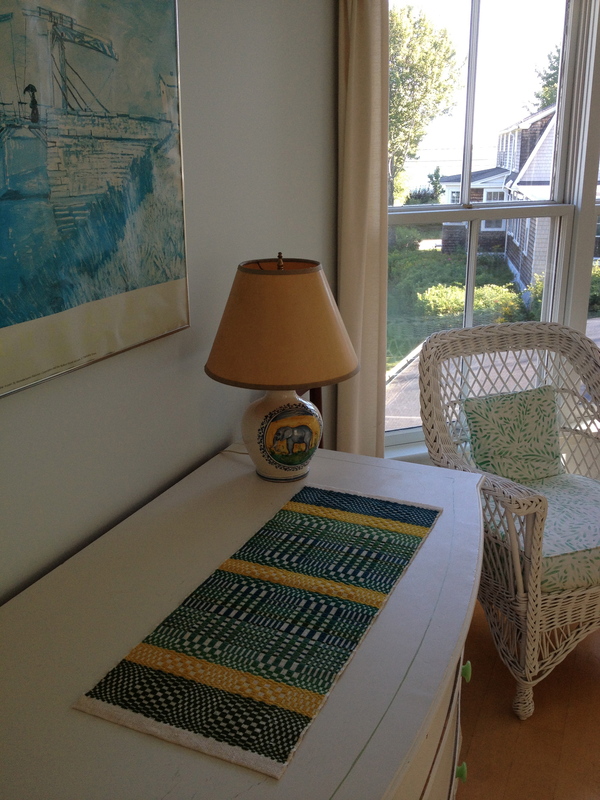 In a sunny bedroom overlooking the ocean in the distance, the colors in a monks belt runner looked perfect. Next Post: Happy Birthday Margaret!